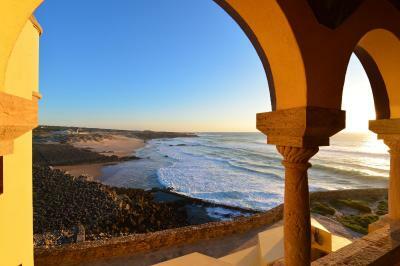 Lock in a great price for Hotel Fortaleza do Guincho Relais & Châteaux – rated 9.1 by recent guests! Beautiful hotel, with awesome views. Our room had beautiful balcony with view directly over the beach and sea. Room was a little bit on the smaller side, and bathroom was too small. Lobby and common areas are very nice. Parking is very convenient, and staff was helpful. Breakfast was wonderful. I would stay here again. Beautiful and scenic surroundings. Super nice staff. Cozy lounge with amazing sea view. Free use of smartphone and internet. Beautiful hotel, courteous staff, great breakfast and an amazing restaurant on site. 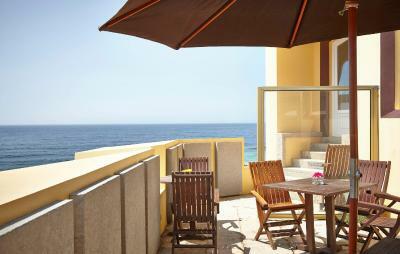 This hotel is located between two beaches with a direct view over the Atlantic Ocean ... what is there not to like! Exquisite sunsets, dramatic coastline, a very tastefully converted coastline fortress would seem like the best ingredients for a great holiday ... but the food ... absolutely incredible. We are very keen on quality dining but this certainly left us speechless! We did not know you could do so many interesting and culinary variances with fish! Why this restaurant only has one Michelin star is beyond our understanding. Cannot recommend this experience enough for those looking for an incredible culinary experience. 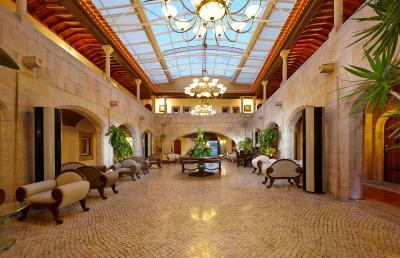 Everything was perfect, wonderful staff - competent and friendly. Fantastic view of the beach. Professional staffs. Nice foods in the bar and breakfast. Hope to go for our 50th anniversary. Actually hopefully before the 50th. Very nice and comfortable staff. The hotel was wonderful and the food awesome. I wish we could have stayed an entire week. The location is just beautiful. 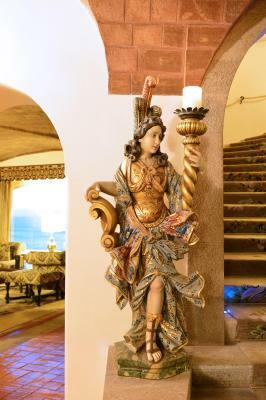 The hotel is perfectly situated on the cliffs and multiple beaches are an easy walk away. It was wonderful to stay in a building that was so old and which retained it's authentic design, but also to have the amenities that you appreciate. Our room was large and provided everything we needed. The robes and slippers were much appreciated, as was having an in-room refrigerator. They also provide a phone that you can use during your stay to make phone calls and use the internet (unexpected!). The shower was wonderful and the bathroom amenities were nice as well. Breakfast was very nice. Egg dishes are made to order and there is a nice variety of complements available. They offered bikes for our use and towels and water to take to the beach. All of the staff that we met were very helpful and friendly. There is plenty of easy parking available. 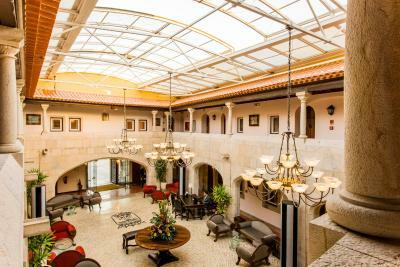 Hotel Fortaleza do Guincho Relais & Châteaux This rating is a reflection of how the property compares to the industry standard when it comes to price, facilities and services available. It's based on a self-evaluation by the property. Use this rating to help choose your stay! One of our top picks in Cascais.Built on the site of a 17th-century fortress, this luxury hotel features a Michelin star award-winning gourmet restaurant and sweeping Atlantic Ocean views. 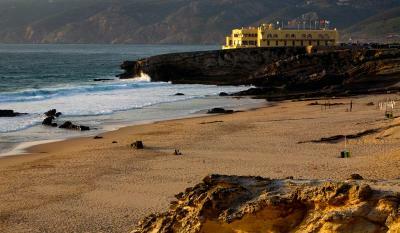 It overlooks the Portuguese surfers’ paradise, Guincho Beach. 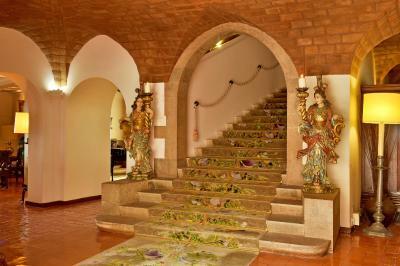 Stone winding stairs, terracotta tiles and ceilings in exposed bricks create a medieval feel. 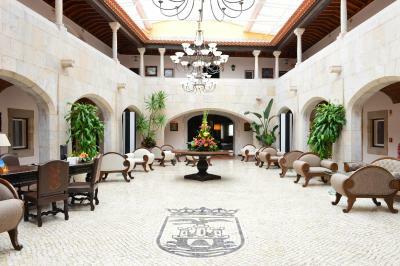 The central cloister is fitted with velvet sofas and wrought-iron chandeliers. 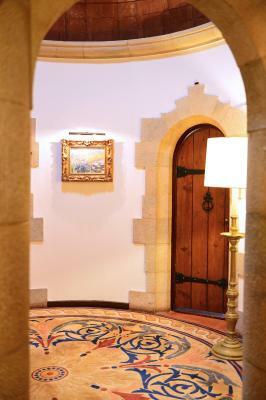 Hotel Fortaleza do Guincho Relais & Châteaux’s rooms are appointed with rich fabrics, dark wood furniture, and paintings with golden frames. Some rooms have private closed balconies with ocean views. 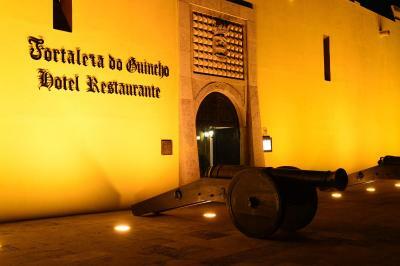 The Michelin-starred restaurant has strong Portuguese influences and serves dishes based upon quality national ingredients. Tasting menus are also available. 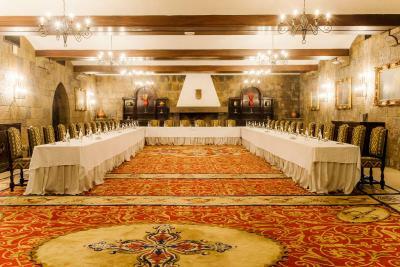 The expansive wine list is hand-picked by an award-winning sommelier. 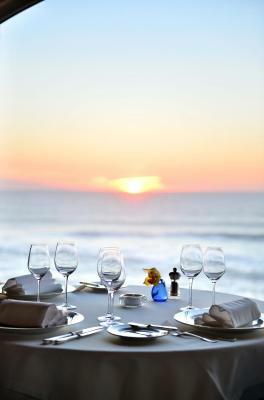 Guests can enjoy Hotel Fortaleza do Guincho Relais & Châteaux’s fine dining in the privacy of their room. 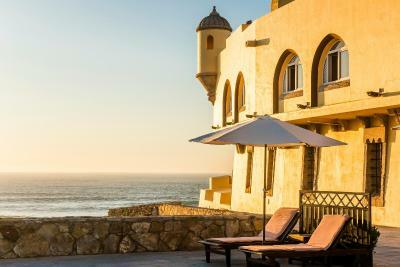 After a day visiting the Sintra-Cascais Natural Park, guests can sip a cocktail from the Hotel Fortaleza do Guincho Relais & Châteaux’s bar, seated on the vast sun terrace overlooking the ocean. 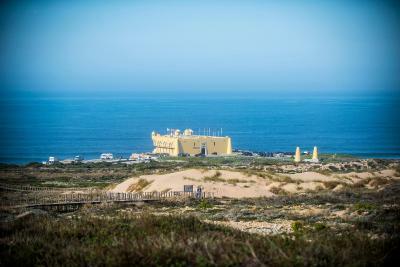 When would you like to stay at Hotel Fortaleza do Guincho Relais & Châteaux? 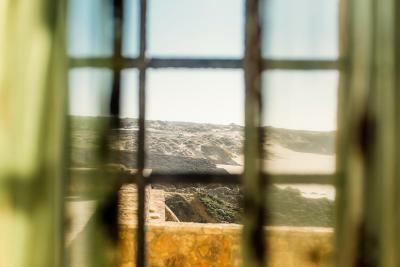 This room is located on the ground floor and offers a beach view through a small window. 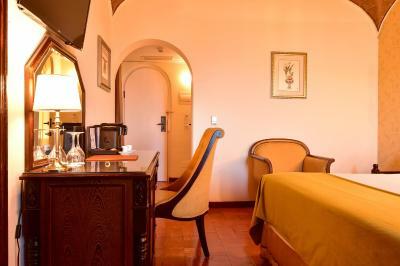 Top-floor room with views of the Atlantic Ocean, and closed balcony with chaise lounge. 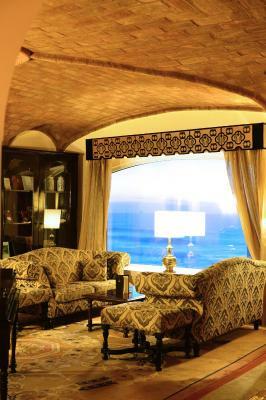 Top-floor room with views of the Atlantic Ocean, closed balcony and chaise lounge. Leaning over the Atlantic Ocean, the Fortaleza do Guincho welcomes a charming five star boutique hotel - integrated into in the prestigious Relais & Chateaux association - with a range of services that focus on the well being and peacefulness of the customers. The Hotel’s restaurant, awarded with a Michelin Star, offers an unforgettable dining experience of Portuguese cuisine, made from the finest national products. The Hotel Fortaleza do Guincho has a warm and personalized service, making it the ideal place for a family holiday, board meetings or the perfect refuge for a romantic getaway. 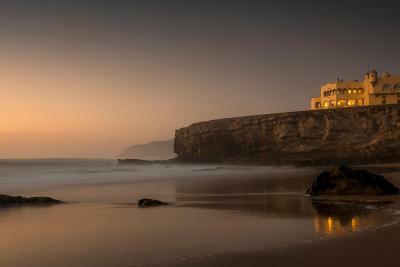 House Rules Hotel Fortaleza do Guincho Relais & Châteaux takes special requests – add in the next step! Hotel Fortaleza do Guincho Relais &amp; Châteaux accepts these cards and reserves the right to temporarily hold an amount prior to arrival. Hotel Fortaleza do Guincho Relais & Châteaux accepts these cards and reserves the right to temporarily hold an amount prior to arrival. Pets are allowed and have a cost of EUR 30 per day. 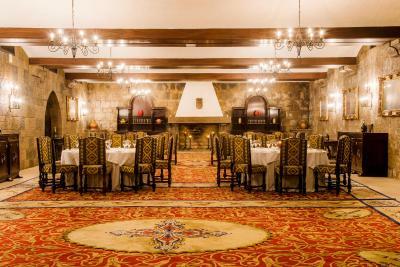 Please note that guests that wish to have dinner at the restaurant should contact the hotel for availability. Please note that the hotel has agreements with several neighboring properties, which allow guests of the Hotel to access Spa, tennis courts and swimming pools at a special rate. This service is upon request. - Only one extra bed per room and for childrens up to 12 years all. Extra bed is free of charge. Extra beds are only accepted in the rooms Junior Suite with Balcony and Sea View and Superior Double or Twin Room with Sea View. 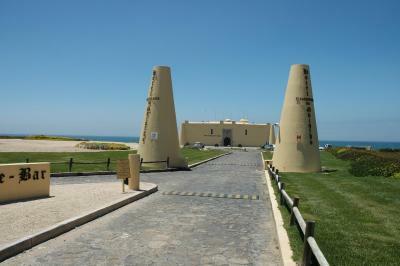 Please inform Hotel Fortaleza do Guincho Relais & Châteaux of your expected arrival time in advance. You can use the Special Requests box when booking, or contact the property directly using the contact details in your confirmation. Avoid the bar. Beautiful views of the coastline are spoilt by very slow service. Excellent quiet location and very comfortable. Not really a 5 star hotel - a good 4, yes. Hotel needs renovation. Not clean enough - in bathroom we saw some not really nice dirty spots. Bar service was also so-so (quite slow). Water was not refilled - staff said they do it "once in 2 days". Bed was not comfy enough too - in particular, mattress was covered with some polyethylene like the one to protect the bed from kid's night surprises. Really weird experience for a 5 stars hotel. 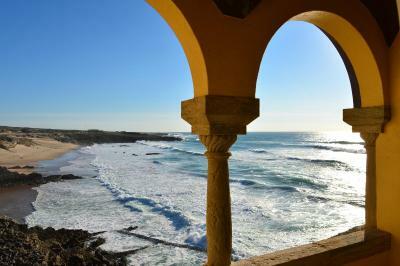 Location is simply incredible: perfect view on the ocean, beaches, sunset - unforgettable. Friendly and well trained reception. Great restaurant experience (tasting menu + wine pairing was exceptional). Good breakfast (but not enough personnel to serve it at the same time). Minimally, don't anticipate that the whirlpool tub will be able to hold more than one person. Would've loved to have a few hooks in the wardrobe or a shelf under the sink in the bathroom to store some items more easily. Two small things, and honestly, this was an incredible stay! Beyond the property's control, visitors should realistically expect higher tourist traffic during the day and especially the weekend due to the popularity of the two beaches (and even from the viewpoint of the hotel). During the late afternoon/evening, the tourists disapear. Something to be aware of in planning your vacation, as you'll definitely have more people around. Guincho Beach also seemed a bit cleaner than Cresima in terms of people picking up after their pets. We did see a beach combing machine at least once. This was an unbelievable to stay and the fabulous location and views is just one part of it! From the beginning to the end we were met with outstanding hospitality including a welcome bottle of Port, Water and fruit. Staff was excellent, friendly, engaging, informative, and whenever possible, accommodating. We only had one hanger in our room and they quickly provided more at our request. The tasting menu at the Restaurant was worth every bite, calorie, and every Euro for a fabulous experience and meal. 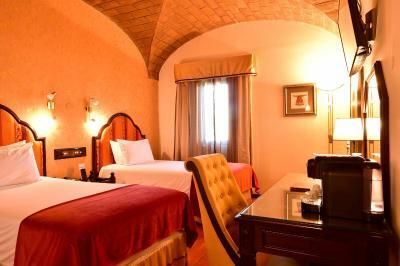 Rooms were always cleaned beyond satisfaction and we were greeted each evening with a special treat. Beds were firm and comfortable. The property is very quiet during the evening. Plenty of off-street parking for guests. The location was excellent and we could walk the dunes across the street or either beach and easily watch the sunset from the hotel patio. After we left and moved onto Lisbon, we kept wishing we were back there. 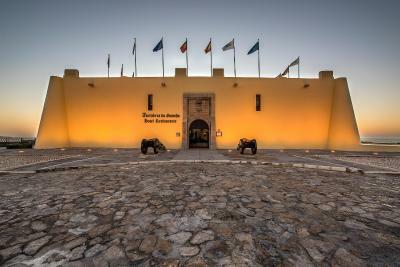 Come with the expectation of staying in a revamped 17th Century Portugese Fort. We did not want to leave and we cannot wait to return. Staff took their time checking us in, even though there was only one other couple checking in. Prices in the restaurant and bar were very high. Only issue was a small barking dog in the room next door. Would not think a five star hotel would allow pets. We were not able to enjoy the breakfast due to early travel plans. We did eat at the restaurant for dinner and had an over the top experience. 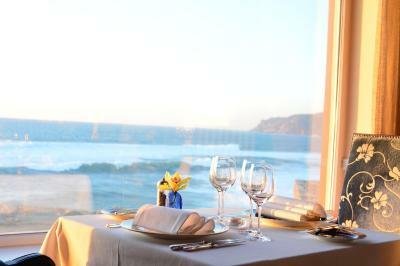 Great sea view, 1 star Michelin restaurant, greatest level of support and service. Highly recommend! Nothing I didn't like. The partial ocean view rooms are on the ground floor so I upgraded to the junior suite (room #210). Ask for Room #210. One of the most beautiful rooms I have ever stayed in. 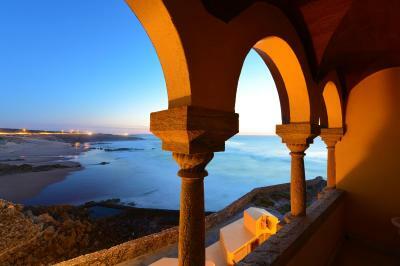 The (2) balconies were directly overlooking the ocean, and were so spacious. 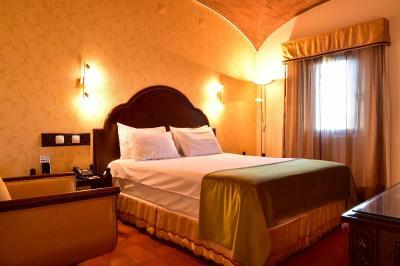 The room was beautifully decorated, the bed was very comfortable. Very quiet, just the sound of the waves crashing in. The restaurant and lounge areas had amazing views. Breakfast (buffet + cooked) was one of the best I've had, and the Michelin-star dinner was incredible. Staff was so nice. 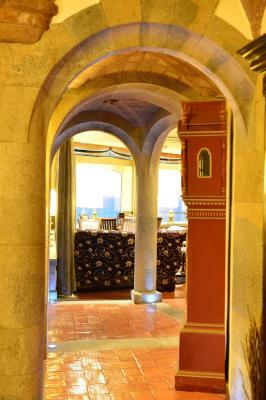 The hotel is ideally located in-between beautiful beaches, and is a short drive from Sintra & other sights for day trips. Very convenient on-site parking. Overall, perfect. I didn't want to leave and hope to be back one day. The bar menu is limited (but the food is good). The restaurant menu was not suitable for our teenage son. Breakfasts were adequate, but avoid the omelets, which were rubbery and browned. It is hard to imagine that the restaurant is really Michelin star worthy - but as I say we didn't experience it so it would be unfair to comment on that experience - it is just that it is the same room where breakfast is served, and the decor is dated and the windows could be cleaner (I know the sea spray makes it impossible to have them clean all the time, but we saw more evidence of staff cleaning cars than windows). It would be nice to not have to ask for a second cup of coffee in the morning. Very relaxing to sit in one of the rooms of the bar. Wines and cocktails (and meals) were delicious. There is an unhurried ambiance that we enjoyed. The bar offers a range of books and games for patrons, but we found we just enjoyed chatting over drinks. The beaches are wonderful. I have stayed in many hotels all over the world. The Fortaleza is up there with the best. The location is amazing, watching the sun set over the Atlantic just beautiful. The facilities excellent, a period property with amazing character. Dining, a real experience. Value for money, without a doubt.